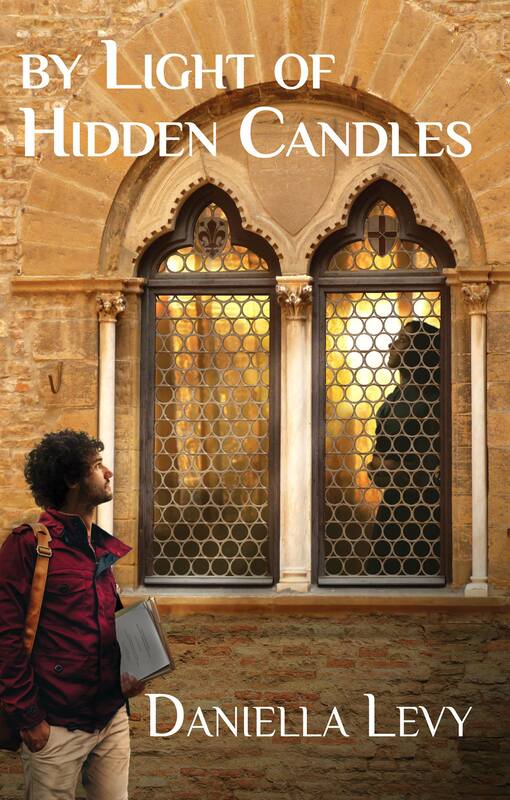 Allow me to interrupt our program on the background of By Light of Hidden Candles to let you know that my poem, Barco de Papel/Paper Boat, was published (in its Spanish and English versions) in the Beyond issue of the Chachalaca Review, a bilingual Spanish-English literary journal published under the Center for Mexican American Studies, University of Texas Rio Grande Valley. So that’s the thing: I’m not! Not really. My Spanish is B1 level at best. To be fair, I didn’t exactly write the poem in Spanish; I wrote it in English, and then translated it myself. Which sort of qualifies as writing it. But… yeah. I’ll add here on a more personal note that the reason this poem is so dear to me is that it expresses an important lesson I’ve been learning in the past few years about myself; about how much pain it causes me to release something into the world without knowing how or when it will come back around to me. I’ve been learning how to trust that the “paper boats” that matter will always return, and that when you let go of someone you love, they still live inside you, they are still a part of you–even if you never see or speak to them again. I keep that boat on my desk because I’m sending out paper boats all the time. They go out in the form of submissions to publications; they go out as letters, text messages, or comments; they go out as gifts, questions, or confessions; they go out as gestures of love, prayers of request, or acts of courage. And sometimes the wait for a response to those things can be painful. 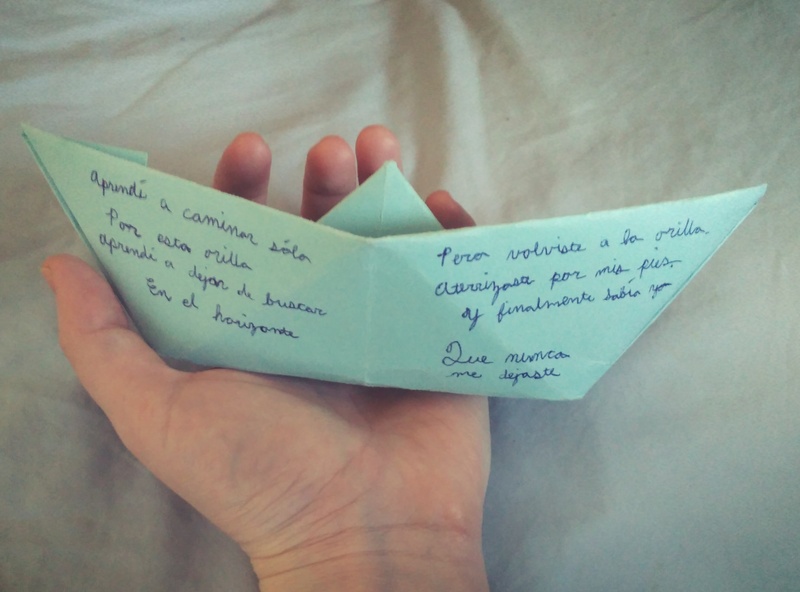 When I feel sadness, fear, frustration, or anger about the silence, I hold the boat in my hands and remind myself that the paper boats that matter already live inside of me. I am honored and grateful that the folks at Chachalaca chose to give this poem a beautiful home. Hearing you read it – beautiful!! !